If you are looking for data recovery services in Gaithersburg, MD, Secure Data Recovery Services is here to help. Our trained engineers have decades of experience in data recovery and have been serving the people and businesses of Gaithersburg since 2007. Our commitment to quality and keeping your data secure during recovery has earned us an A+ rating on the Better Business Bureau website, making us the number one choice for your data recovery needs. Rest assured that your media device is in capable hands with Secure Data Recovery. 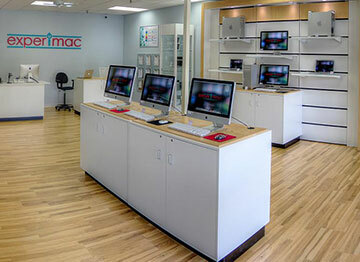 Our experienced team in Gaithersburg offers data retrieval on any operating system such as MAC, Linux, Unix, and more. Secure Data also offers a 10% discount for military personnel such as the military police brigade stationed in Gaithersburg. We know that losing data is a difficult experience and we are here to perform data retrieval in the most efficient way possible. We have the fastest turnaround times and will give you a free price quote and estimated time frame upon receiving your media. Our experienced engineers operate out of a Class 10 ISO 4 Cleanroom and always ensure your data is kept secure throughout the entire process. We are here for Gaithersburg residents 24/7/365 and offer 24-hour emergency services for severe data loss scenarios. With data recovery options for all hard drives and RAID arrays, we are one of the most trusted data retrieval companies in the industry. Call 1-800-388-1266 to speak to a customer service representative today. Secure Data Recovery, great service Jeff Hart! I was really happy to hear that my data was fully recovered from my external hard drive, thanks to the hard-working team at Secure Data Recovery. I had all y portfolio files in there, and need them for my career. Also, the entire process was made easier thanks to Jeff Hart's great customer service. He is patient, polite, and communicates very well and efficiently with customers. I had only 3 weeks in the USA to fix this problem before returning to my post abroad, and we got it all done in great timing. I highly recommend this company. Thank you. Fast diagnostics and recovery, very professional and helpful personnel (Luke), different paying options, which I really appreciated. I would definetely recommend Secure Data Recovery.